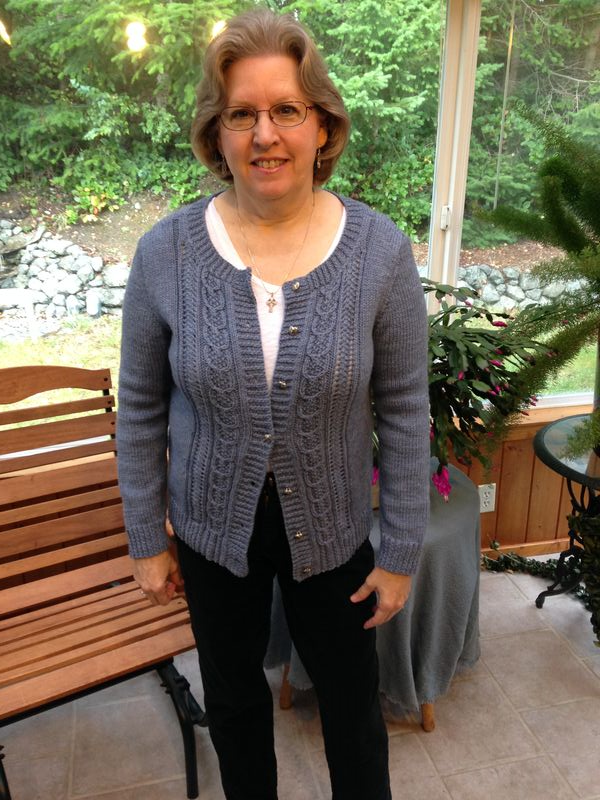 This was made using Amy Herzog's Custom Fit pattern. I think it needs a little tweaking here and there, but overall I am very pleased. 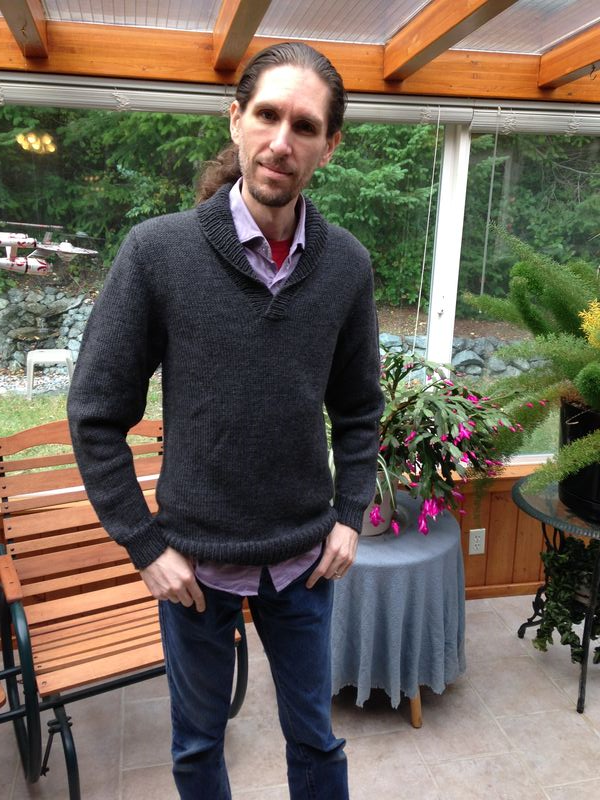 It's probably one of the most well-fitting and flattering sweaters I've ever made. As much as I love the buttons, I may have to replace them. They are just a little too small for the buttonholes. My son is always hard to buy for, so last Christmas I gave him a box of yarn. The goal was to knit him a sweater before this Christmas and I succeeded. 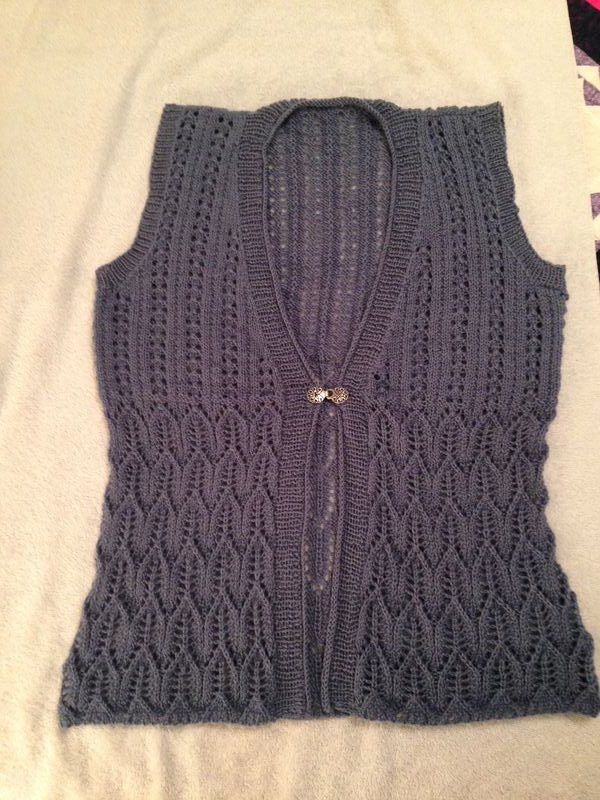 The parts of it had been done for quite a while, but I was a little freaked out about doing the shawl collar. This is my own design and I was making it up as I went. I finally just dived in and the collar ended up being a piece of cake. He is enormously pleased with the result. GQ anyone? This was made for my daughter-in-law by request to match the child-sized one I made for Mei Mei. 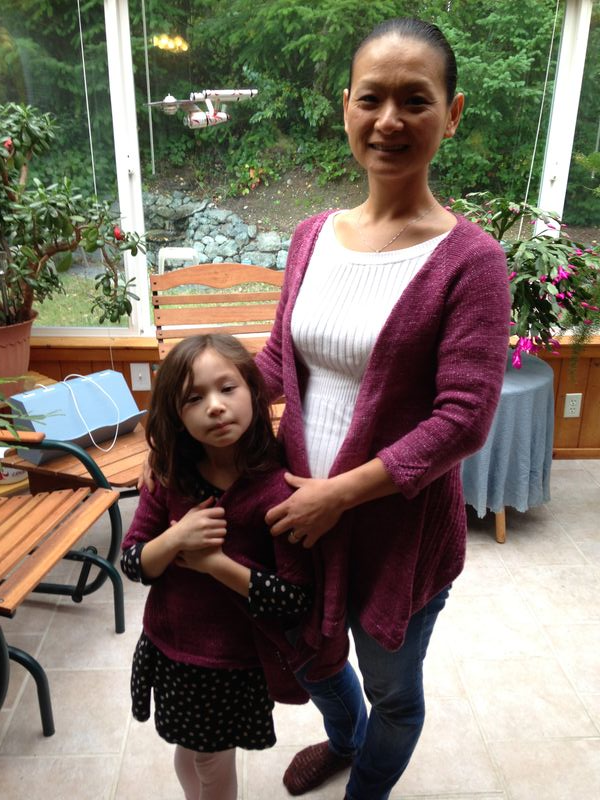 I was able to locate the same yarn and now they have matching sweaters. I think this style is darling on both of them. In the interests of complete disclaimer, I have to confess that Mei Mei will not wear sweaters I make for her. We barely got it on her for the photo. So there probably won't be many more sweaters for her in the future. So there you go! Not too many knitting projects going now because I'm on a quilting spree. 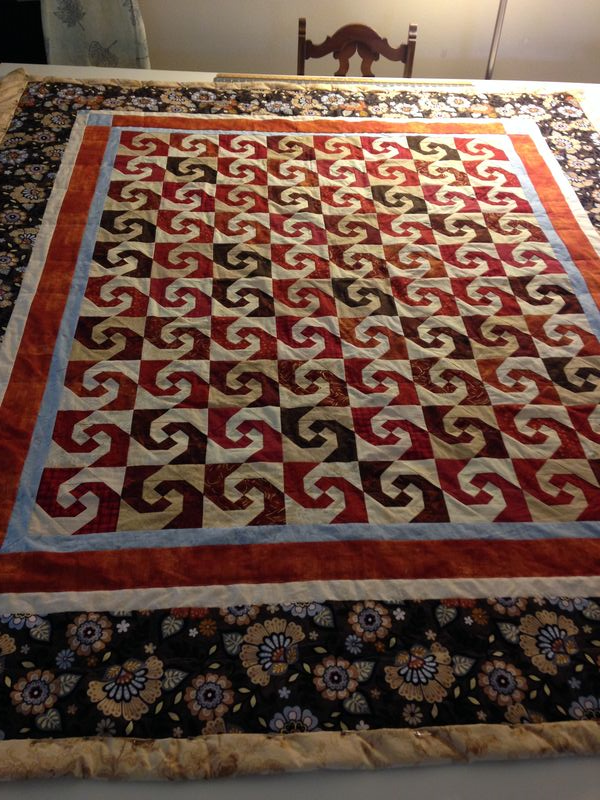 I finished the piecing on Abby's quilt. I was going to have a friend baste it with her longarm, but ended up going over to my friend's house to hand baste instead. She has a wonderful large table and it was so easy to spread it out. I didn't even end up with a backache. I'm really enjoying the handquilting process! And I've found my next project! 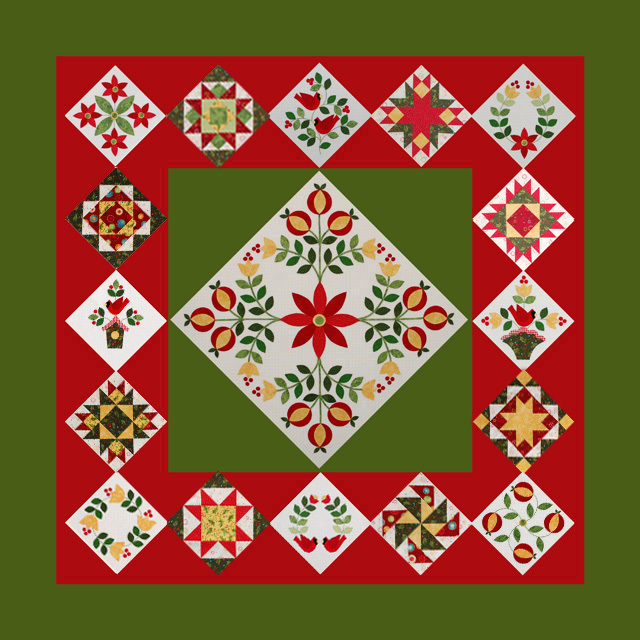 These wonderful Christmas blocks by Erin Russek of Once Piece at a Time really caught my eye. I love the combination of pieced and appliqued blocks. Let the fabric shopping commence! Beautiful finishes, Dorothy! What’s your favorite way of weaving ends? That is my least favorite part, for sure. Love both quilts. That Christmas one will be stunning! I totally relate to hating to finish up sweaters. It’s a pain. These are beautiful! 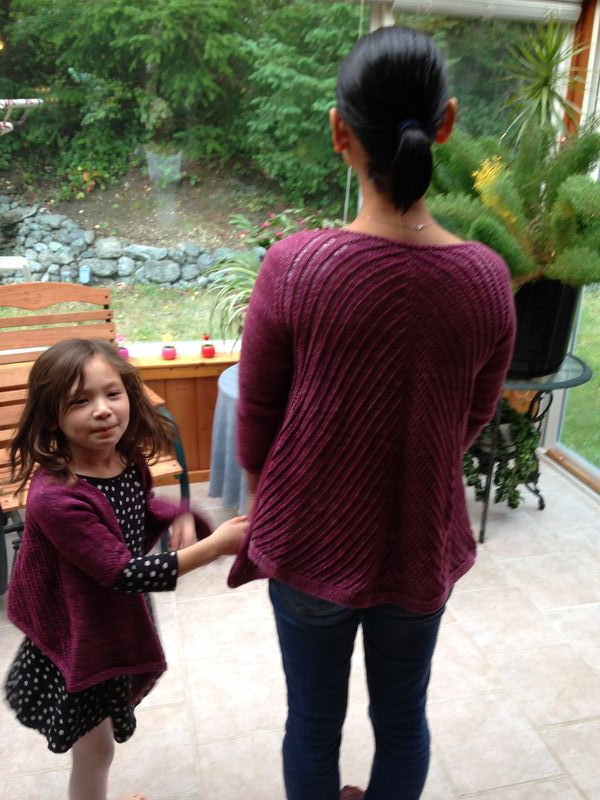 You knit so well, but sometimes little kids just don’t want to wear beautiful things. Hang in there. Beautiful finishing! I really like your Custom Fit sweater. I’ve not tried one of those yet.